The Last Days of the Raj has mastered Indian and we look forward to serving you. We take great pride in using only the freshest, quality ingredients to create flavorful dishes that reflect the varied taste of Indian. Whether you are looking for a light dinner or a full meal for the family, The Last Days of the Raj can deliver it all. 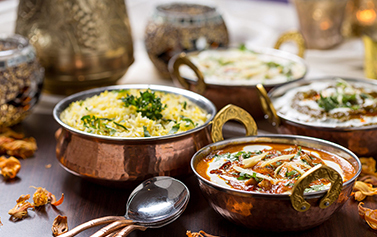 Browse our delicious menu of Indian dishes and have it delivered straight to your door. Lovely as always! Highly recommend! Food was lovely! Would definitely go back again.